These cooler nights are perfect for a good tawny - especially an award winning one! Penfolds were awarded the Tarac Technologies Trophy for Best Museum Red Fortified Wine, Classes 23 & 24 for their NV Great Grandfather Rare Tawny at the Barossa Wine Show last week. 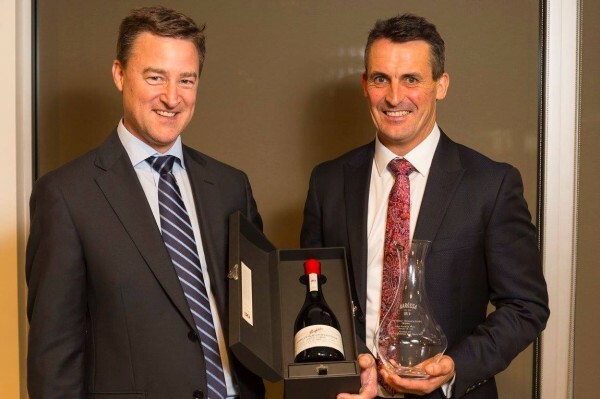 Kevin Miller accepted the trophy on behalf of Penfolds from Tarac CEO Jeremy Blanks at the presentation dinner held at Lambert Estate last Thursday evening.